An Empire version of our WGP predecessor's pump markers. We took all the best parts of Autococker pumps over the years and created a new classic...the Sniper! 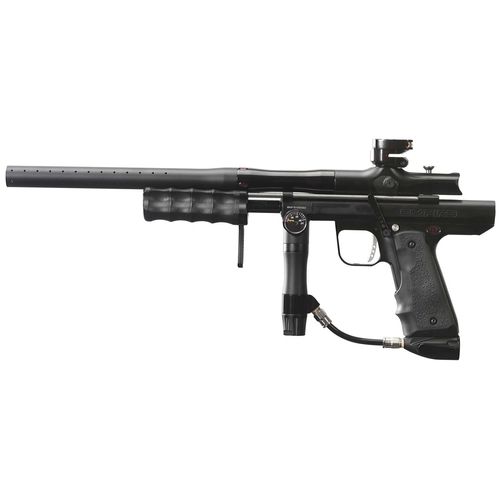 Built upon the foundation of the legendary Autococker design, Empire Paintball has created the Sniper, a new tournament level pump marker with a classic name. Bud Orr created the original Sniper in 1986, listening to Rock me Amadeus on the radio and creating the legacy that became WGP. This new Sniper incorporates the same DNA while adding the touches you expect from Empire. Cool styling, rugged reliability, and optimal performance. With the Sniper, stay true to the past, but perform like the present.